Join Texas food writer Robb Walsh on a grand tour complete with larger-than-life characters, colorful yarns, rare archival photographs, and a savory assortment of more than 100 recipes for crispy, crunchy Tex-Mex foods. From the Mexican pioneers of the sixteenth century, who first brought horses and cattle to Texas, to the Spanish mission era when cumin and garlic were introduced, to the 1890s when the Chile Queens of San Antonio sold their peppery stews to gringos like O. Henry and Ambrose Bierce, and through the chili gravy, combination plates, crispy tacos, and frozen margaritas of the twentieth century, all the way to the nuevo fried oyster nachos and vegetarian chorizo of today, here is the history of Tex-Mex in more than 100 recipes and 150 photos. Rolled, folded, and stacked enchiladas, old-fashioned puffy tacos, sizzling fajitas, truck-stop chili, frozen margaritas, Frito™ Pie, and much, much more, are all here in easy-to-follow recipes for home cooks. The Tex-Mex Cookbook will delight chile heads, food history buffs, Mexican food fans, and anybody who has ever woken up in the middle of the night craving cheese enchiladas. 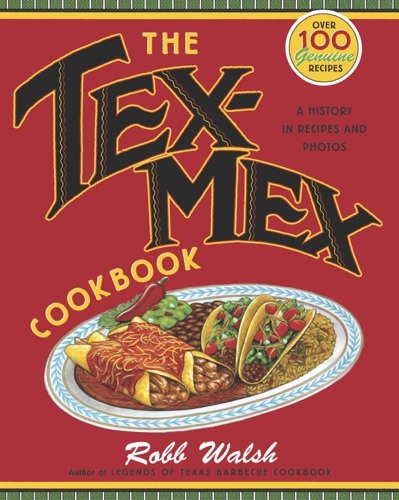 Do you love The Tex-Mex Cookbook book? Please share! The Tex-Mex Cookbook - Robb Walsh E-Book coming soon..